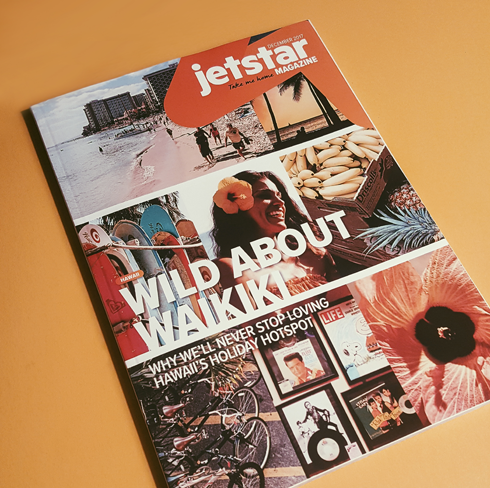 Earlier this fall I was contacted by the art director for Jetstar Airways in-flight magazine in Australia. 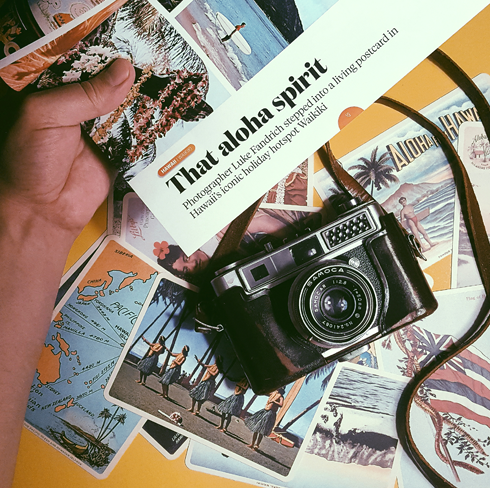 He had discovered my Aloha Hawaii travel photography series through a simple online search, and reached out about the images I had shot of Waikiki in Honolulu, Hawaii. Amazingly, a casual back and forth about purchasing a few images eventually evolved into them publishing a 7 page spread and cover featuring my photography for their December 2017 issue. 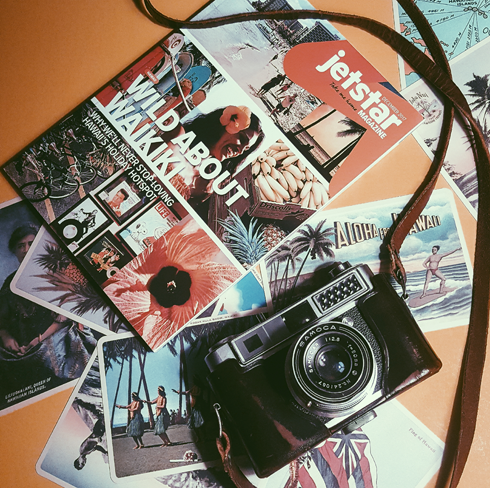 Jetstar Airways is based out of Melbourne, Australia and is a wholly owned subsidiary of Qantas. 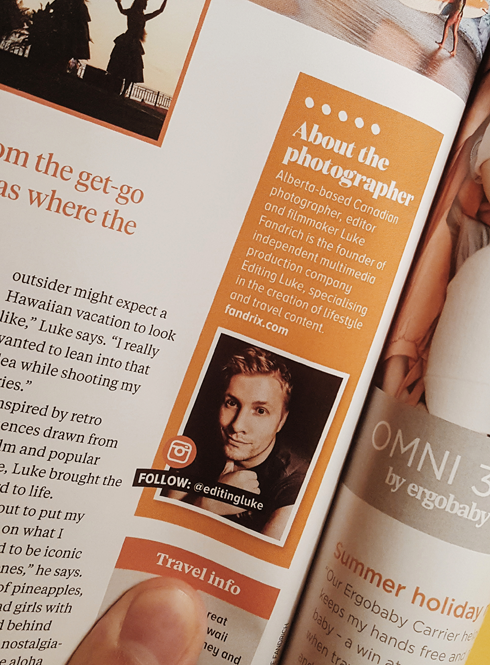 With flights within Australia and New Zealand, as well as to Southeast Asia, China, Japan, and Hawaii, the idea of having my work featured so prominently and on such a large scale is understandably exciting for me and my business, Editing Luke. 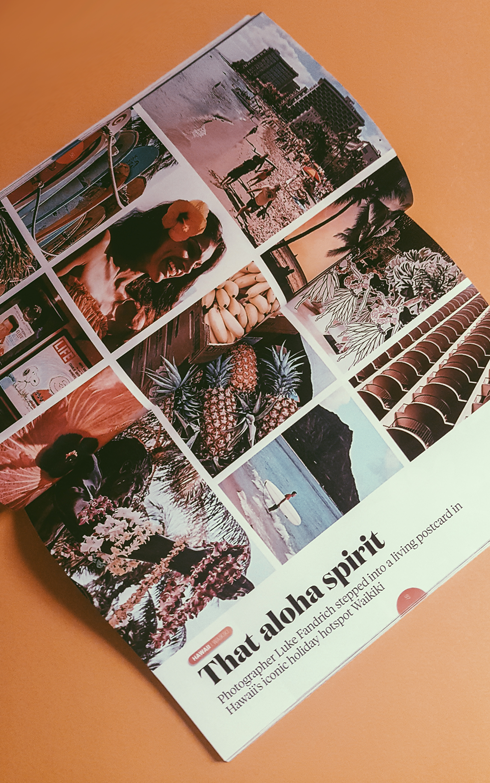 The cover of the December 2017 issue is a collage of 8 images that I photographed around Waikiki Beach. 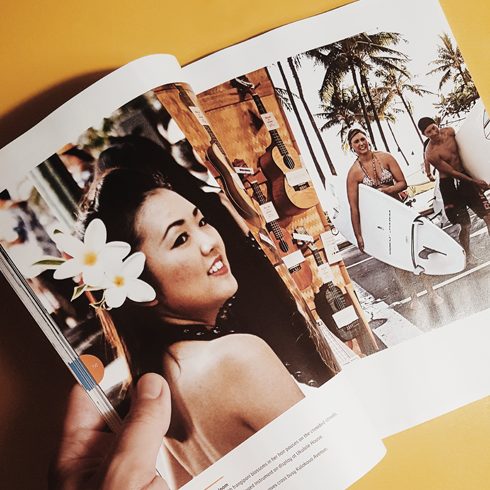 Inside there's an extended double page collage, followed by a 3 image layout, another double page spread, and finally an article featuring snippets of my images and an interview I did about shooting my photo series in Hawaii. By the way, that original photo series with highlights from around Oahu, Hawaii can still be explored here. Despite selling quite a few images internationally over the last few years, on a personal level, this publication feels a bit more noteworthy for two reasons. 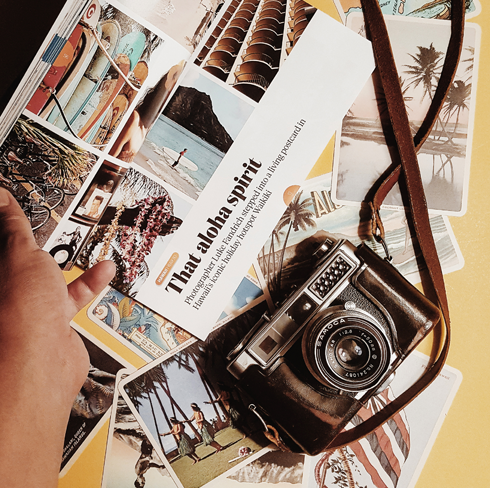 The first, is that outside of selling prints or a photo book with my name attached to it, it's pretty rare that I'm selling my photography for an article or feature that is actually about my experience in creating the work. 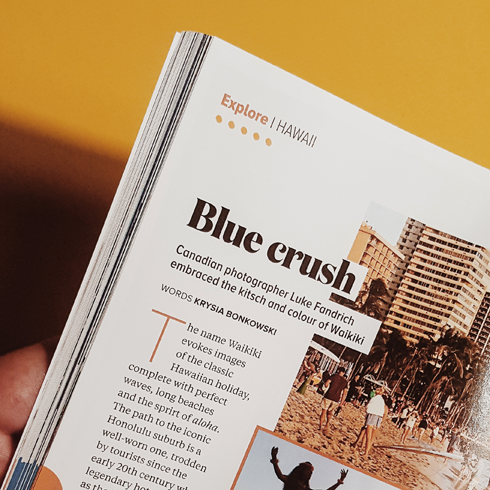 Secondly, as a travel photographer and someone who flies often, I love the idea of having my images all over an in-flight magazine. The number of people who will unintentionally see it, thumb through the magazine because they're bored, or maybe just scribble all over my pictures because it's something to do, makes me smile. After all the in-flight magazines I've looked through, I like that I can say that I've been featured in one now too. Since I won't be flying between Australia and Hawaii this month (however much I might wish to make that happen) I was happy to have a copy of the magazine arrive from Australia this week. The publication looks even better than the digital proofs I was sent online, and the quality of the publication has easily made this coffee table worthy. So, apologies to my friends and family in advance for talking about Hawaii over Christmas a bit too much - but this is cool!